So I never thought I would do this. Since 1999, I've proudly posted on my website, www.shortarmguy.com , pictures of my funny looking arms held high in the air. But I've always been more embarrassed about showing people what my foot looks like. Quite frankly, it looks like a monkey's foot. I usually always wears socks for pictures, but my wife snapped this one of my me a week ago and I figured, "What the heck!" 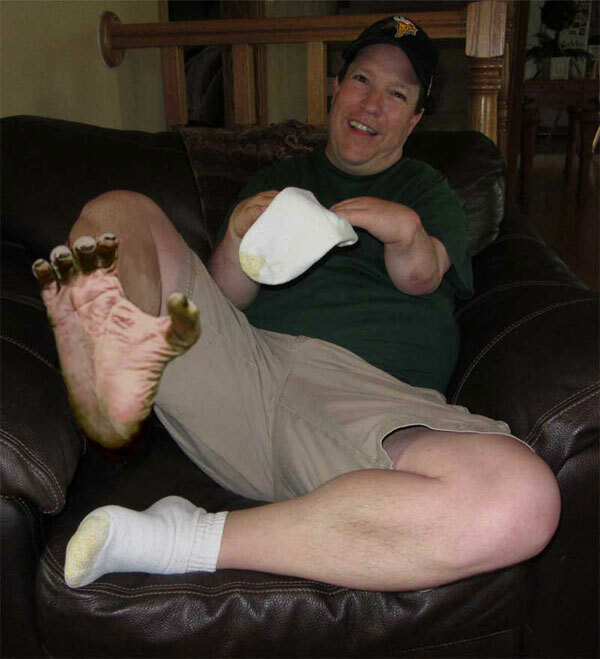 I just can't decide if I should change the name of my website to www.monkeyfootguy.com or not. Is Windows RT At The End Of Its Rope?